Is Boston Beer in danger of losing its ‘craft’ status? Sales of Samuel Adams and Boston Beer’s other brews have dropped as drinkers seek out new, exotic beers from smaller breweries. Boston Beer Co. has been the face of the American craft brewing movement since the 1980s, when, industry legend has it, charismatic founder Jim Koch traveled from bar to bar hawking samples of his Sam Adams lager to skeptical managers whose lips knew little besides Budweiser or Miller. But how much longer will Boston Beer remain a craft beer company? According to the Brewers Association, the central US craft beer industry group, at least half of a company’s sales by volume must be composed of “traditional” beer for it to qualify as a craft brewer. The local industry group, the Massachusetts Brewers Guild, uses the same definition. Now, some analysts say Boston Beer is in imminent danger of slipping below that 50 percent traditional threshold. At the same time, Boston Beer has ramped up its nontraditional offerings, such as Twisted Tea, Angry Orchard cider, and most recently, Truly Spiked & Sparkling seltzers, pushing the company‘s product mix closer to the 50-50 line. Citing figures from the IRI market research company and the Beer Marketer’s Insights, an industry publication, Cooper estimates Boston Beer will sell 1.89 million barrels of traditional beer this year, down from a reported 2.22 million last year. That’s out of a projected 3.8 million barrels of all products for 2017, meaning that Boston Beer could lose its craft status in the near future — possibly as early as the end of this year. A spokeswoman for Boston Beer said “we have no plans to stray from our craft roots” and noted that the company is in the process of relabeling all of its beers with a new “independent craft brewer seal” introduced by the Brewers Association. “As a publicly traded company, we do not break out volume numbers by brand . . . but [I] can confirm that we fit within the Brewers Association’s craft definition,” the spokeswoman said in a statement. 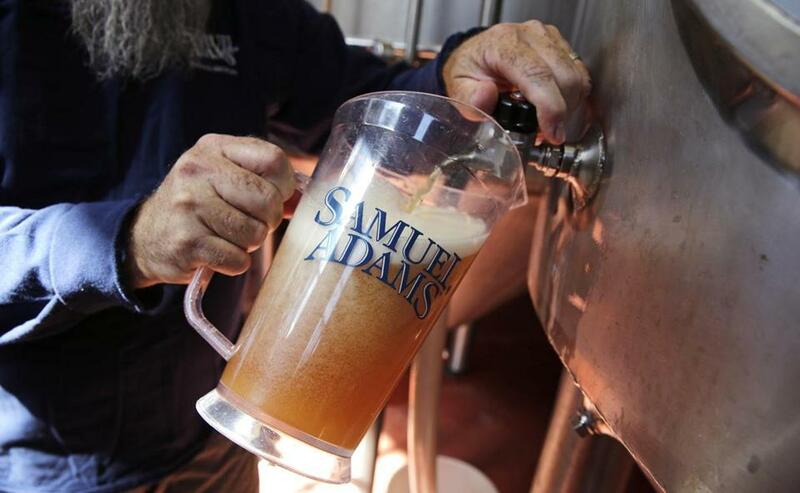 In a July conference call with investors, Koch said that Boston Beer planned to launch a major advertising campaign behind Sam Adams this fall and expressed confidence the company could reverse its declining beer sales. 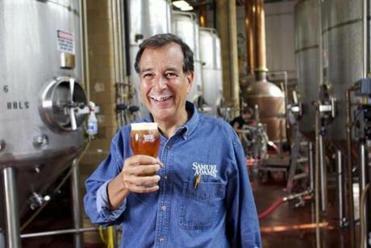 Boston Beer Co. founder Jim Koch has expressed confidence the company could reverse its declining beer sales. Stripping Boston Beer of its “craft” status would be highly symbolic — the company and Koch, in particular, were among the foremost pioneers and popularizers of craft beer. It would also have some real, if modest, impact on the company, depriving Boston Beer of a seat at various industry group tables and cutting it off from the Brewers Association’s lobbying and marketing resources. But the Brewers Association could lose, too, because Boston Beer pays the group dues that are based on its production. And, awkwardly, Koch holds a seat on its board of directors. Throwing Boston Beer overboard might also make for bad optics. While some purists in the craft sector contend that Boston Beer has become too large to be considered a true craft brewer, many others in the trade idolize its founder. Supporters say Koch’s love of beer is earnest and transcends his role at Boston Beer; they cite his practice of selling unused hops to upstart breweries and otherwise encouraging competitors. In 2012, Burns recounted, Boston Beer sold Night Shift a batch of rare, highly sought-after hops the young company couldn’t procure itself, plus oak barrels to age its beers. One hope for Boston Beer: The Brewers Association criteria aren’t written in stone. In 2010, the group raised its cap on how much beer a craft brewer could produce and still qualify for membership to 6 million barrels a year, from 2 million — a move widely presumed to be an accommodation of Boston Beer. It has also relaxed its rules on which ingredients are considered traditional, admitting for the first time brewers such as Pennsylvania’s D.G. Yuengling & Son that use corn in their mashes. Burns said the state industry group, which Boston Beer helped create, would have to discuss whether to amend its criteria. But he suggested that if it were up to him, Boston Beer would be allowed to remain. The beer industry is under immense pressure, Burns argued, and brewers shouldn’t be punished for seeking sales wherever they can. Besides, he said, Koch’s commitment to the so-called craft ethos is unimpeachable.